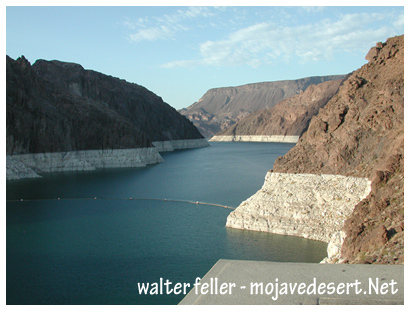 Groundwater and the Mojave and Colorado Rivers are the primary water sources for the Mojave Desert's plants and animals, and for the booming populations of desert cities. Las Vegas is the nation's fastest growing city; its population is expected to double in the next 40 years. In southern California, fast-growing desert communities in Victor and Antelope Valleys will nearly double in size over the next 25 years. Providing water to sustain metropolitan growth in desert areas is a constant challenge, and often has extreme consequences. For example, so much water is drawn out of the Colorado River that it often runs dry before it reaches the Pacific Ocean. Because local water demand is fast approaching capacity, large-scale engineering projects to draw more water from Lake Mead are underway. Complex water laws control the amount of water that can be taken by each state. With a finite amount of water available locally, new water sources will eventually be needed if growth is to be sustained. Proposals to pipe water from distant aquifers will cost billions of dollars. Critics fear that the ecological costs of such plans could also be great. Groundwater pumping to serve urban and agricultural areas lowers the water table, which can have devastating impacts on desert habitats such as mesquite woodlands and fragile riparian complexes. Some interested parties are calling for more water conservation and restrictions on urban growth to ensure a healthy water supply for communities as well as for the Mojave's plants and animals. Where there is water, there is is life. In the desert, there is life. Water is being used faster than it is being replenished.